There are 5 products I always buy from Costco: Bounty Paper Towels, Vanity Fair Elegant Dinner Napkins, Kleenex Tissues, Charmin Toilet Paper and Ziploc® Plastic Freezer and Storage Bags. The harmony of my home relies on the availability of these products (well, not really but they help) and although I try to reduce our reliance on paper and plastic, I still count these products as essential…up until recently. Over the past few weeks, I’ve thrown away dozens of quart and gallon freezer and storage bags by Ziploc® because the bags split down the side no matter how gentle I am. Ziploc® bags are not what they used to be. 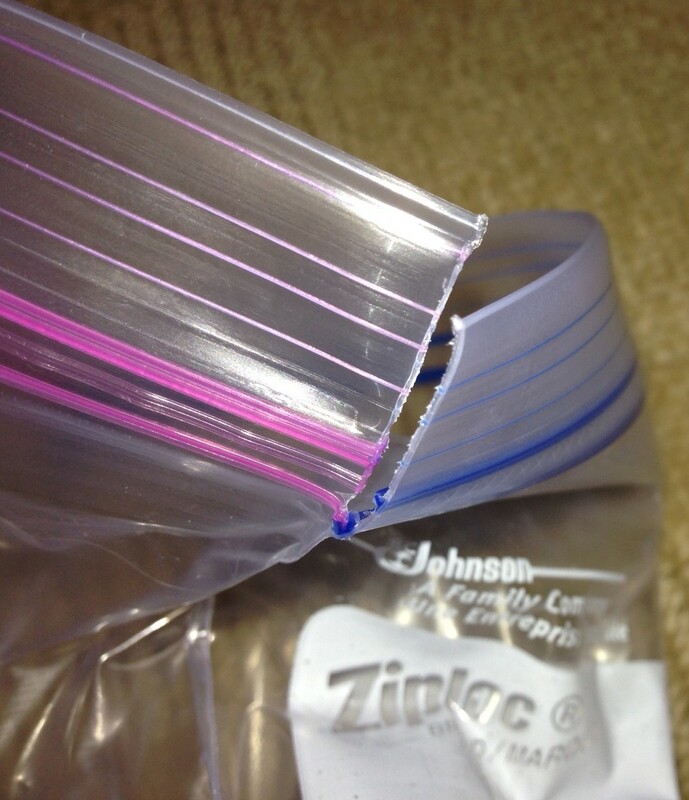 SC Johnson & Son – the “family company” that makes and sells Ziploc® bags – appears to have changed the formula (they won’t confirm or deny as “details of this nature are proprietary”) leaving the utilitarian bag of bags less than what it was. What changed? The strength of the plastic weakened so that the sides now split open eliminating the airtight closure the bag is so famous for. So, now instead of getting “more out of it,” I’m getting less out of a Ziploc® because once the bag splits below the closure line, the bag is useless. The resealable and reusable plastic bags called Ziploc® were originally developed in 1968 and made by the Dow Chemical Company. In 1997, Dow sold the rights to SC Johnson & Son who has been making the bags ever since. By producing a strong bag in a multitude of sizes, Ziploc® managed to dominate the market (although they are not without competitors) with a versatile product that literally had a dozens of uses in the kitchen, playroom, and even the suitcase. When disposable water bottles changed, I got the hint: rely on the faucet and a Brita®. But, what am I to rely on for leftovers, travel, cooking (there’s nothing like using a bag to coat food with flour)? It’s not like there’s an alternative source in my home (I can’t very well turn on the faucet and have a bag pop out) so dear SC Johnson & Son, please bring back the high quality Ziploc® bag of the past. And, for the rest of you faithful users who’ve noticed a difference, consider contacting the company by clicking here and voicing a complaint. The whole side rips open on the freezer quart bags. Wtf? Yes I’ve said same thing ! !